Scottsdale has a rich cache of local history and traditions, but safeguarding this legacy is a constant job. Over the last fifty years real estate development, economic revitalization, and other changes have placed particular historic buildings, neighborhoods, and artifacts in Scottsdale in precarious positions. While frustrating and unsettling for local preservationists, historians, and concerned citizens, these threats have a silver lining: in the face of adversity, diverse groups came together to defend and protect Scottsdale’s history and heritage, and in the process, they created new organizations and strategies for historical preservation and heightened public appreciation of Scottsdale’s past. The fight for the Little Red Schoolhouse was a key turning point in Scottsdale’s road to committed historic preservation. In 1968, the school faced demolition to make way for a new downtown development, the Scottsdale Mall. Concerned residents—some of whom were former students—made a stand. Coming together for a common cause, they formed the city’s first preservation organization, the Scottsdale Historical Society, whose mission was to save and restore the building. Despite heroic attempts to raise the needed restoration costs, the society fell short of its goals. Its efforts, however, did not go unnoticed, but inspired another organization, the Scottsdale Chamber of Commerce, to contribute to the preservation fund. The school was home to the chamber for nearly twenty years, until finally in 1991, the historical society occupied the building that mobilized its members into action. Buildings like the Little Red Schoolhouse strike a nostalgic chord because they represent so many facets of Scottsdale’s history and traditions. In its early days, the building was more than a school. As the civic heart of the community, it served as a church, a polling place, and a community meeting spot. In the 1950s, the newly incorporated city took ownership and turned the school into the police station, the Town Hall, and the County Court Office. When the offices outgrew the building, it became the public library. In all of its varied forms and functions, the Little Red Schoolhouse was branded into the memories of Scottsdale residents—young and old alike. For some, losing the school and the history embedded within it was akin to losing a significant part of Scottsdale’s identity. The success story of Scottsdale preservation did not end with the Little Red Schoolhouse. Since then, the City of Scottsdale has joined in local preservation efforts established key government entities and mechanisms for identifying, protecting, and promoting Scottsdale’s history and heritage. In 1997, the City Council created a Historic Preservation Division and Commission, both of which are active in maintaining the City Historic Register, a list of historic Scottsdale buildings, as well as residential historic preservation and community education programs. As for the Little Red Schoolhouse, the Scottsdale Historical Society museum that holds historical objects, exhibits, and collections does its part to ensure Scottsdale’s history will not be forgotten. Little Red Library: One of the Little Red Schoolhouse's many functions was serving as the Scottsdale Public Library. From 1963 to 1968, Scottsdale's children and adults alike visited this public library in the center of downtown Scottsdale. 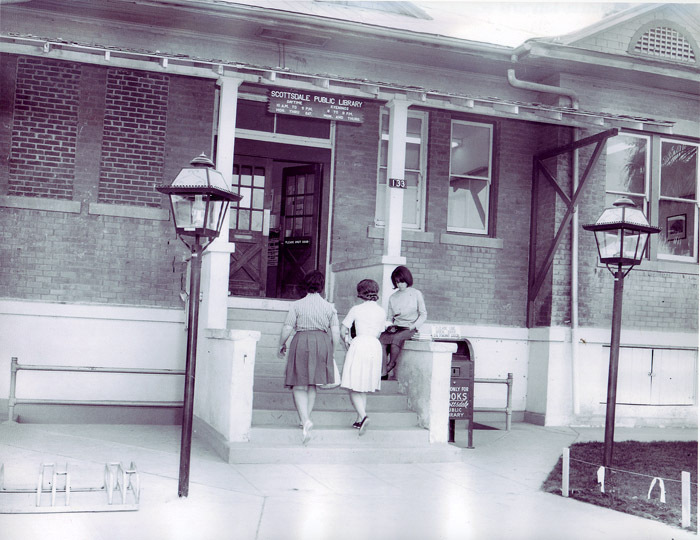 ~ Source: Image courtesy of Scottsdale Historical Society..
School as Police Station : For a period in the 1950s, the schoolhouse was home to the Scottsdale Police Headquarters. 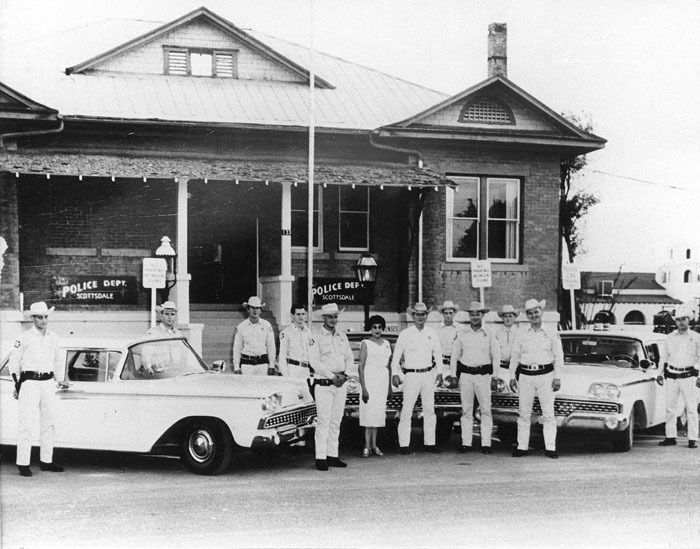 Lillian Shaheen, the city's first female officer, is pictured in the center of several Western-style policemen donning cowboy hats, boots, and holsters. ~ Source: Image courtesy of the Scottsdale Public Library. 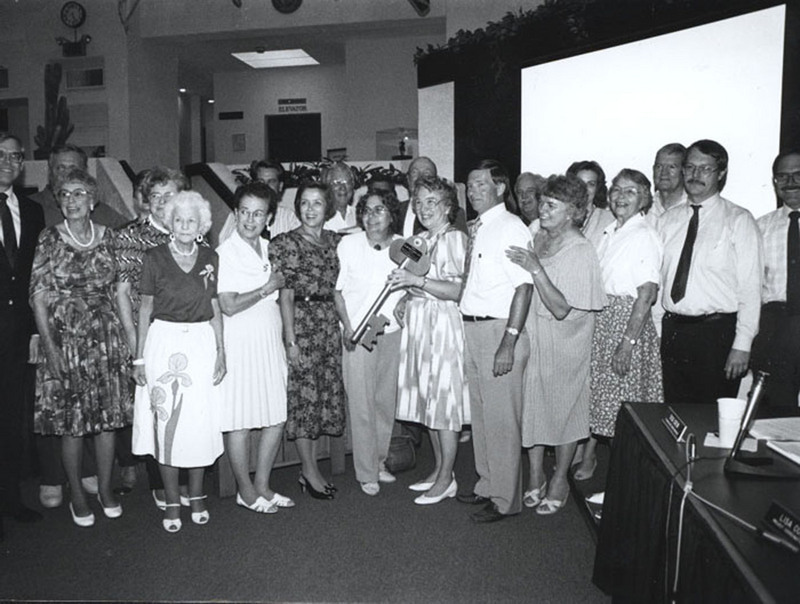 Dancing for the Schoolhouse: Fundraisers, similar to this 1970s dance benefit pictured above, were hosted by the newly-formed Scottsdale Historical Society and the Scottsdale Chamber of Commerce to raise monies for the renovation of the Little Red Schoolhouse. These types of benefits brought awareness and appreciation for early historic preservation efforts in Scottsdale. ~ Source: Image courtesy of Scottsdale Historical Society. Key to the Schoolhouse: For over twenty years, Scottsdale Historical Society members made it their mission to save the Little Red Schoolhouse and turn it into a permanent museum and archive of Scottsdale history. In 1991, their dream became reality. This photo shows members receiving the key to their beloved building. ~ Creator: Image courtesy of Scottsdale Historical Society. Based on an interview with JoAnne Hanley. Written by Megan Keough; narrated by JoAnne Hanley. Recorded at Scottsdale Channel 11; courtesy of the Papago Salado Association. 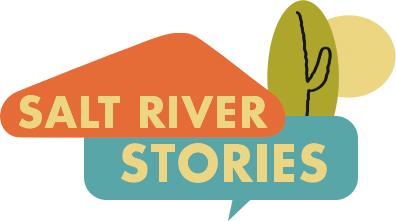 StoryTour Team and Stephanie McBride-Schreiner, “Little Red Schoolhouse,” Salt River Stories, accessed April 20, 2019, https://saltriverstories.org/items/show/15. NOTES: SMS: Images checked/captions rewritten.